I’m sure you’ll agree with me that the best way to begin your day is with a refreshing shower. However, a bad shower head can easily spoil this amazing feeling. 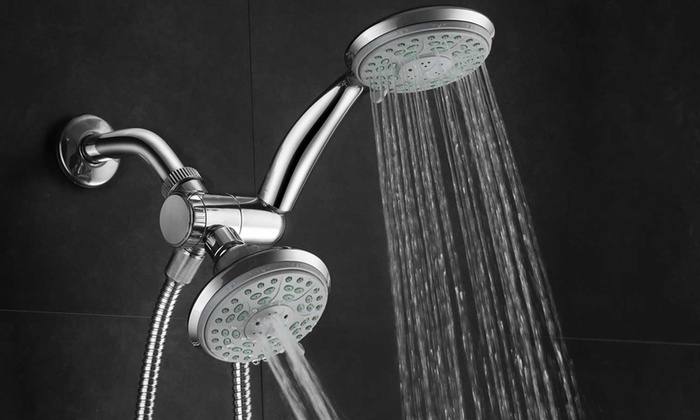 A shower head that makes it hard to wash all parts of your body or produces painful water pressure can make your daily showers feel more like an inconvenience than a way to relax. So, if you want to make your morning splash the best time of the day, it’s really important to choose the right shower head. Here are some tips to help you with your shopping. 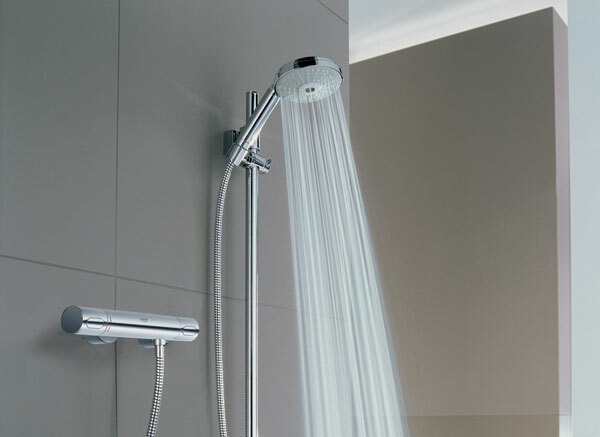 Generally, shower heads fall into three categories: wall-mounted shower heads, handheld showerheads, or top mounted shower heads. A wall-mounted shower head is perhaps the most affordable option, and convenient for people who prefer only a quick splash of water. However, if you want a satisfying shower that’s more than just a basic rinse, consider getting an adjustable shower head and hand shower. This type of shower head is very convenient and versatile as you can move it around freely. With that being said, I’m sure that everyone with long hair will prefer a handheld showerhead. Additionally, you can use this shower head to give your bathtub shower enclosure or other parts of your bathroom a good cleaning. A cradle or sliding rail attached to the wall or cabin can help keep in place the shower head and hand shower when it’s not in use. And finally, there are top-mounted shower heads that provide a rain-like washing experience. While this does feel really soothing, these shower heads are unsuitable for people wanting to keep the water off their face and keep their hair dry. For me, the ideal shower experience falls somewhere between an unsatisfying trickle and your skin being blasted off. If you don’t have enough water pressure, you won’t feel clean. On the other hand, if you have too much of it, showering can feel painful. With that being said, the tinier the holes in the showerhead, the better the pressure will be regulated. As a result, your body will be hit with enough water to clean you off without creating an uncomfortable feeling. There’s also the option to use an aerating shower head which mixes air and water to create a softer and more relaxing flow of water. Taking into account Australia’s predisposition to droughts, the cost of water is very high as opposed to the rest of the world. What’s more, Australian standards dictate that showers can’t deliver more than nine litres of water per minute. According to the WELS (Water Efficiency Labelling and Standards) scheme, all shower heads in Australia should be rated for water-efficiency. The highest rating a shower head can have is three stars which means that it uses six to nine litres of water per minute. So, if you want to save on water bills and help the environment at the same time, you may want to consider getting a shower head that doesn’t waste a lot of water.